DO NOT edit fantakens or gif fancams without explicit permission from the fansite. always a work in progress. thank you to all the fans that provide the makeup and links of this catalog! 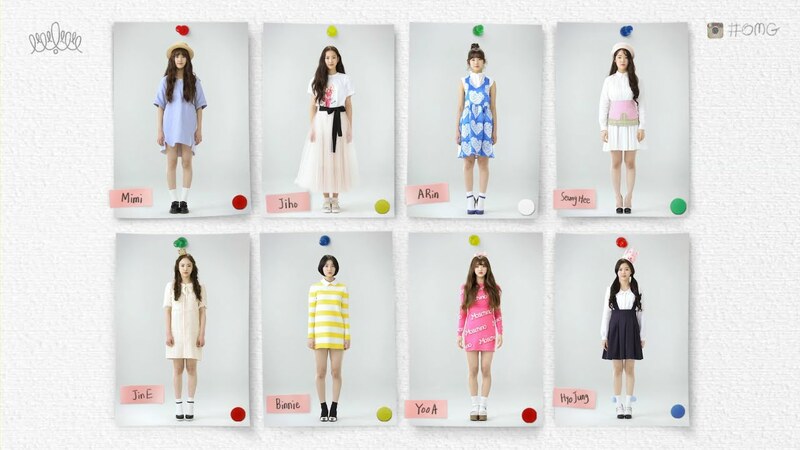 2nd Oh My Girl oho! "FOUND YOU, OH MY GIRL!" a lot of the information in this comes from the fanbases! dates and ages will be korean-based. also houses b1a4, soloist i, and onf. their debut was announced on feb 20th 2015 and the first teasers were released mar 26th. their fandom name is miracle, announced during their liar liar showcase on 160328. meeting the members was like a miracle, meeting the fans is like a miracle. in which the girls cook, play with dogs, bungee jump, and more! each episode features different segments except the last one, which is the most emotional. at the end of episode 1 is their cover of tell me, and the end of 5 is their cover of the boys.